How to obtain copies of Texas vital records, such as Texas birth certificates, Texas death records, Texas marriage licenses & Texas divorce decrees. See the guidelines for general information on how to order vital records. Check the related links for additional vital records and genealogical information on Texas. Make check or money order payable to Bureau of Vital Statistics. The records will be searched without the benefit of the index information but fees are not refundable, even if no record is found. Certified copies can only be requested by qualified individuals, if the birth has occurred within the last 75 years or the death has occurred within the last 25 years. Requests for certificates of births that occurred within the last 75 years and deaths within the last 25 years, must also include the full names of the subject's mother and father (including the mother's maiden name), your reason for obtaining the certificate, and your relationship to the subject. For births that occurred within the past 75 years, copies can be requested only by the immediate family of the person whose name is on the birth certificate. For deaths that occurred in the past 25 years, copies can be requested only by immediate family members of the deceased. Fee is for verification only. Requests for certified copies of a Marriage License should be directed to the County Clerk's Office in which the event occurred. Fee is for verification only. Requests for certified copies of a Divorce Decree should be directed to the District Clerk's Office in which the event occurred. Requests for certified copies of a Marriage License should be directed to the County Clerk's Office in which the event occurred. Requests for certified copies of a Divorce Decree should be directed to the District Clerk's Office in which the event occurred. Anderson . Andrews . Angelina . Aransas . Archer . Armstrong . Atascosa . Austin . Bailey . Bandera . Bastrop . Baylor . Bee . Bell . Bexar . Blanco . Borden . Bosque . Bowie . Brazoria . Brazos . Brewster . Briscoe . Brooks . Brown . Burleson . Burnet . Caldwell . Calhoun . Callahan . Cameron . Camp . Carson . Cass . Castro . Chambers . Cherokee . Childress . Clay . Cochran . Coke . Coleman . Collin . Collingsworth . Colorado . Comal . Comanche . Concho . Cooke . Coryell . Cottle . Crane . Crockett . Crosby . Culberson . Dallam . Dallas . Dawson . De Witt . Deaf Smith . Delta . Denton . Dickens . Dimmit . Donley . Duval . Eastland . Ector . Edwards . El Paso . Ellis . Erath . Falls . Fannin . Fayette . Fisher . Floyd . Foard . Fort Bend . Franklin . Freestone . Frio . Gaines . Galveston . Garza . Gillespie . Glasscock . Goliad . Gonzales . Gray . Grayson . Gregg . Grimes . Guadalupe . Hale . Hall . Hamilton . Hansford . Hardeman . Hardin . Harris . Harrison . Hartley . Haskell . Hays . Hemphill . Henderson . Hidalgo . Hill . Hockley . Hood . Hopkins . Houston . Howard . Hudspeth . Hunt . Hutchinson . Irion . Jack . Jackson . Jasper . Jeff Davis . Jefferson . Jim Hogg . Jim Wells . Johnson . Jones . Karnes . Kaufman . Kendall . Kenedy . Kent . Kerr . Kimble . King . Kinney . Kleberg . Knox . La Salle . Lamar . Lamb . Lampasas . Lavaca . Lee . Leon . Liberty . Limestone . Lipscomb . Live Oak . Llano . Loving . Lubbock . Lynn . Madison . Marion . Martin . Mason . Matagorda . Maverick . McCulloch . McLennan . McMullen . Medina . Menard . Midland . Milam . Mills . Mitchell . Montague . Montgomery . Moore . Morris . Motley . Nacogdoches . Navarro . Newton . Nolan . Nueces . Ochiltree . Oldham . Orange . Palo Pinto . Panola . Parker . Parmer . Pecos . Polk . Potter . Presidio . Rains . Randall . Reagan . Real . Red River . Reeves . Refugio . Roberts . Robertson . Rockwall . Runnels . Rusk . Sabine . San Augustine . San Jacinto . San Patricio . San Saba . Schleicher . Scurry . Shackelford . Shelby . Sherman . Smith . Somervell . Starr . Stephens . Sterling . Stonewall . Sutton . Swisher . Tarrant . Taylor . Terrell . Terry . Throckmorton . Titus . Tom Green . Travis . Trinity . Tyler . Upshur . Upton . Uvalde . Val Verde . Van Zandt . Victoria . Walker . Waller . Ward . Washington . Webb . Wharton . Wheeler . Wichita . Wilbarger . Willacy . Williamson . Wilson . Winkler . Wise . Wood . Yoakum . Young . Zapata . Zavala . Research projects come in all different sizes. There are also novice and pro researchers out there with a variety of assignments to complete. They all should know that there is one location to find the historical data they need. Whether it is journalistic writing, student writing, or genealogical recording, the type of research you are conducting needs to have proper evidence from this resource. What is this place called? You can call it the Texas vital records. Whether you�ve had experience in the research game or not, you can investigate a world of history here. Successful assigned projects can benefit from the Texas vital records. Do you think preparation is a key point to many challenges in life? The same principle applies for conducting research. It is not wise to just run with an idea and gather evidence from all sorts of places. An outlined paper or project will have more of an impact for your audience in the long run. Your venture into history exploration will benefit with a game plan. A designer of a family tree should jot down the names and dates of family members he knows prior to carrying out the duty or researching ancestors. Researchers who have a paper to be written must establish a point before supporting it with dates in history. The ease with which you find gathering evidence when you do some preliminary work is satisfying. You can now look at the Texas vital records to see how they can assist you. The genealogy aficionado can tell you that the Texas vital records hold the information that is on birth certificates and death records of state citizens. The dates found here makes your assignment stronger, whether it is a school paper or a genealogical project. Also, the public is more than welcome to peruse that which is found within these documents. A convenient, one-stop location helps in your genealogy endeavor. Part of your preparation duties is to record as much as you can about the subjects for whom you are gathering evidence. The first and last name, the name of the spouse, and additional details are checkmark items for you to look into before doing further research. Being organized is the sign of an experienced researcher. If you are unprepared, your readers may notice and you will not produce a satisfactory product. Research can actually be a joyful experience. When you soon realize how to unlock the primary source you need, you can write strongly for your instructor or family. That�s what the Texas vital records are: examples of primary sources. Search for other supportive websites and forums when it comes to ancestor archiving. 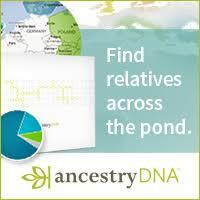 There are experts of ancestry in your neighborhood, and they are willing to help you. This state�s history is rich with accurate data that helps bring knowledge to communities big and small. Have a historic time by documenting your state�s heritage. Research can be fun! If you know how to unlock the primary sources that are necessary, you can write an excellent paper or design a complete family tree. There are also other people doing the same job you are doing. Genealogy and research websites pop up all over. You may find, with the experience you�ve gained by doing this project, you yourself could offer tips to others. Instructors respect the student who goes the extra mile in conducting research. Local communities reward the history fanatics who give them lost knowledge about the area. The New Hampshire vital records, including birth certificates and death notices of the state�s citizens, help to enrich the state�s history.